The problem of efficient use of time at work by staff becomes a headache for directors in many organizations. It is difficult and often just impossible to control the activity of each employee in an organization where more than 30 people work. The NetworkProfi company has developed a software product for effective network monitoring called LanAgent. 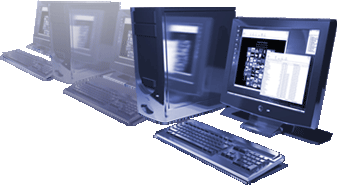 LanAgent is used to organize reliable control over the work of each computer user on the local area network. LanAgent allows you to monitor the activities of your employees in real time and create reports for any period of time. With this program, a company's director or a specialist from the HR department can analyze how efficiently employees use their time, actual time and financial expenses on a particular task. LanAgent detects the activity of users that has nothing to do with their work and shows how efficiently each employee in a company uses his or her time at work. This will help the person in charge to make balanced, sensible management decisions in the field of working with the staff, supervising projects and financing. Besides, LanAgent can be used by system administrators for systematically monitoring activities and operations carried out by users on the local area network. Screenshots will allow you to see what is happening on users' monitors. LanAgent possesses standard and specialized network control features. The program logs all keystrokes, makes screenshots and you can specify the interval at which the program will make these screenshots. LanAgent (program agents on workstations) is absolutely invisible for people working on the network. LanAgent logs switching the computer on and off, starting and closing programs, monitors the clipboard and also monitors files stored on users' computers. Another important feature of the program is monitoring Internet connections and visited sites. All reports on monitoring and controlling users' activities on the local area network are generated in the HTML format, which makes processing and analyzing the information easier. At the same time, all collected data is stored in the database on the administrator's computer.